Looking for some fun and convenient uses for your pet tags? 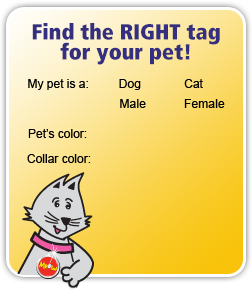 – Use the dog tags as a medical alert tag for your pet. 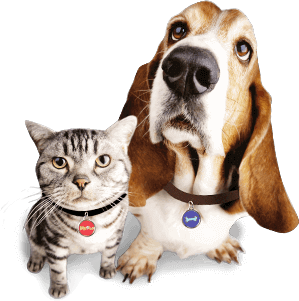 – Use a pet tag as a fun medical alert medallion for your child. – Pet tags can make a great piece of memorial jewelry to remember your pet. Use small tags as charms for a charm bracelet, with your pet’s names and dates, or use a larger tag as a pendant. – Use a pet tag as a key ring. It’s a fun way to remember your pet and if you’re prone to losing your keys, you can have your contact information engraved on the tag. 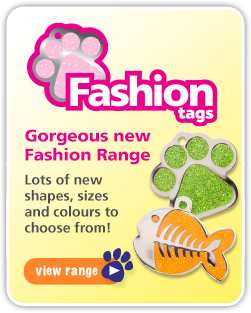 – Pet tags are a great identifier for your child’s backpack. – Use a pet tag to identify your luggage or gym bag. – Use a dog tag to identify your pet’s “diaper bag” for doggy daycare or the pet hotel. And remember that other pets can benefit from a pet tag as well, including potbellied pigs, rabbits, goats, pet monkeys and beyond!